2 Bedroom Flat For Sale in Leicester for Offers in the region of £120,000. Two bedrooms, one bathroom duplex apartment which features a lounge/ dining area, fitted kitchen with built in appliances and entrance area. 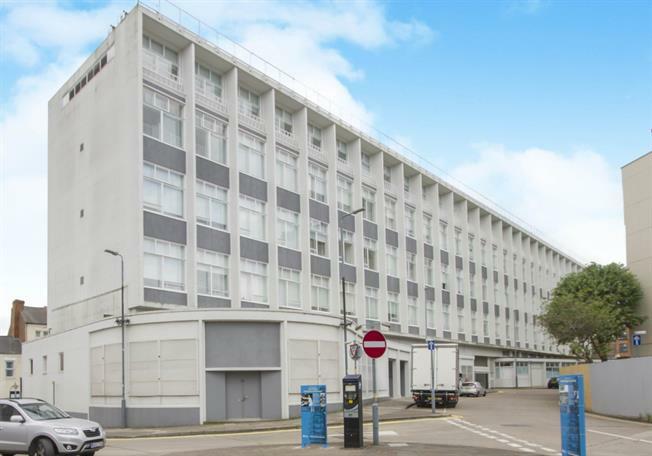 This apartment has a light and airy feel to it especially with having tall secondary glazed windows and in our opinion this property is ready to move into. This apartment is situated in the popular exchange building which has access to lifts, gymnasium and concierge. Car parking is available at an additional cost to rent. Wooden front door. Laminate flooring. Heated towel rail, tiled flooring. Low level WC, panelled bath, wash hand basin. Secondary glazed window. Radiator, laminate flooring. This is a maximum measurement. Secondary glazed window. Radiator, laminate flooring. Work surface, wall and base units, single sink, integrated electric oven, integrated electric hob, overhead extractor, integrated dishwasher, integrated washing machine and fridge/freezer. Access to the two bedrooms. Wooden sliding doors. Carpeted flooring. Built-in wardrobes. Wooden sliding . Laminate flooring. Built-in wardrobes.